Iraq is voting Wednesday in the first nationwide elections since the withdrawal of U.S. troops against a bloody backdrop of sectarian violence. Hundreds of thousands of security forces deployed to guard voting centers, blocking their streets with trucks and barbed wire. The poll comes a day after blasts in an outdoor market northeast of Baghdad killed 24 people, while a wave of attacks killed at least 46 people on Monday. The violence has undermined the Shiite-dominated government led by Prime Minister Nouri al-Maliki, who could seek a third term if his coalition gains a plurality of seats in the vote. The levels of violence reflect deep sectarian divides and have wide-ranging roots. As Iraq’s nearly 22 million registered voters cast their ballots, take a look at what some of the issues are -- and what’s at stake –- for Iraq. 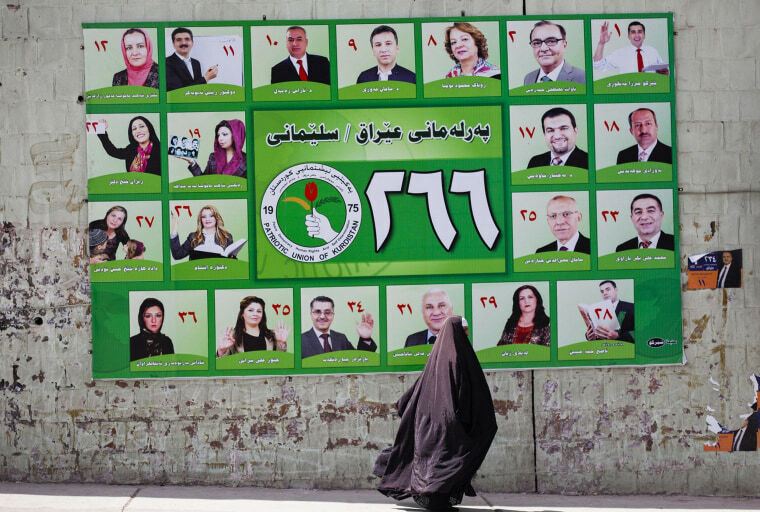 Wednesday’s parliamentary elections Wednesday are the fourth poll since Saddam Hussein was toppled -- but the first since U.S. troops withdrew in 2011. That milestone makes the poll a showpiece for the state’s democratic apparatus and a test of whether the country’s security forces can ensure the safety of voters. While there are more than 9,000 candidates in the running for 328 parliamentary seats, al-Maliki’s State of Law coalition is widely expected to win the most seats. What remains to be seen is whether the deeply divisive prime minister can pull an effective coalition block together, having alienated Sunnis, Shiites and Kurds alike over the past eight years. While 63-year-old Maliki promised in the last election to unite parties and factions, “he simply has failed” to deliver, said Cordesman. How Wednesday’s vote affects regional alignments is also of critical interest: If the country becomes more broadly aligned with Iran, that would have an impact on the broader security picture for the Middle East, experts say. Maliki is hailed by some as a successful leader who has taken a firm approach to stamping out extremism, and derided by others who consider his government a flat-out failure. His camp portrays him as a unifier, but the prime minister has been criticized for failing to maintain security, taking a heavy-handed approach to putting down demonstrations and for what many consider to be sectarian policies. He also has been criticized for failing to resurrect the economy of Iraq. Despite massive oil wealth, Iraq’s economy is in dire straits and basic services are in short supply. While billions of dollars have been spent on services such as public transport and infrastructure since 2005, “there’s very little to show for it,” al-Khoei said. Two years after the U.S. troop withdrawal, violence in Iraq has reached levels not seen since before the U.S.-led invasion, raising fears that many Iraqis will be unable to cast their ballots. Insurgents have been ramping up attacks on Iraq’s security forces and supporters of Maliki’s government, with the country’s 1 million-strong security forces unable to staunch the bloodletting. In March alone 180 civilians were killed and 477 wounded in Baghdad, while more than 2,000 have been killed across the country so far this year, according to Reuters. Much of the violence is attributed to al Qaeda inspired Sunni militants seeking to shake confidence in the Shiite-led government and derail the electoral process. Parts of the Sunni-dominated Anbar province won't take part in the election due to the clashes there between security forces and militants, according to The Associated Press. Experts say Syria’s civil war is only adding to the insecurity, citing the strengthening this year of the al-Qaeda breakaway group known as the Islamic State in Iraq and the Levant (ISIL). With Sunni militants going back and forth across borders, “the spillover has devastating consequences for Iraq,” Al-Khoei said. While ISIL has claimed responsibility for several of the attacks in recent weeks, experts say part of the problem is the weakness of Iraq’s security forces which remain poorly organized and unable to hold ground.